Used Mitsubishi Outlander Review - 2013-present | What Car? What's the used Mitsubishi Outlander 4x4 like? 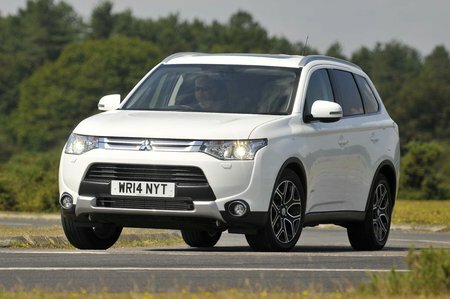 The Mitsubishi Outlander has been a quietly successful car, thanks largely to the PHEV plug-in hybrid version that was launched in 2014. Not only did that model offer low running costs, but it was also priced at the same level as the equivalent 2.2-litre diesel Outlander once the Government’s plug-in car grant had been factored in, making it particularly attractive to company car drivers. The hybrid combines two electric motors (one mounted on each axle) with a 2.0-litre petrol engine, and can use the latter either as a generator to charge the batteries (Series mode), or to drive the wheels with the help of the batteries (Parallel mode). It can also run in “Pure” electric vehicle mode, with a claimed range of 32.5 miles. Charging the battery takes five hours from a conventional plug, or about three hours from a dedicated EV charging point. What the PHEV doesn’t have is the optional third row of seats that was offered with diesel Outlanders, although as these are cramped and difficult to access that’s no real hardship. Otherwise the Outlander is a spacious SUV, with room for five adults and a boot that’s big enough to swallow four bags of golf clubs or a folded baby buggy and a few large cases. Another thing that makes the Outlander popular with families is its five-star rating in Euro NCAP’s crash tests. 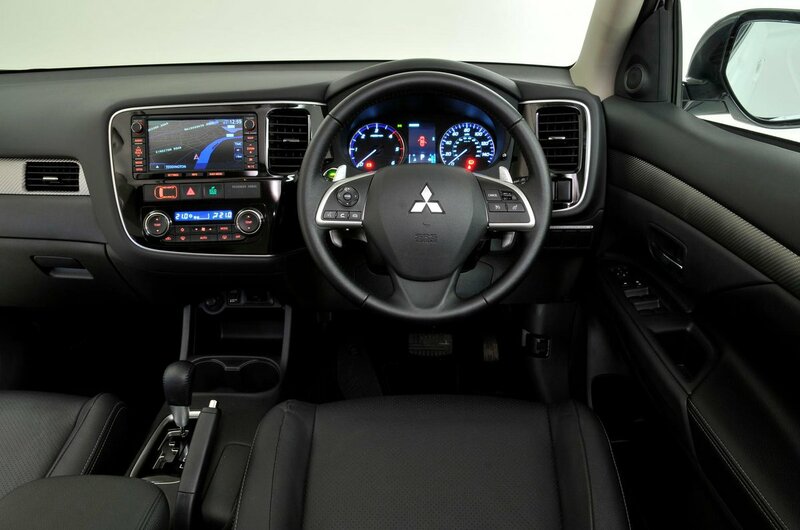 However, for all the car’s technical advances, the dashboard design and finish is fairly crude, and while Mitsubishi boasted that the Outlander’s platform was based on that of the high-performance Lancer Evolution X saloon, it’s far from a sporty drive. Nor is it all that quiet, particularly if you go for the diesel model, which uses a relatively old engine that was offered with either a six-speed manual or a six-speed torque converter automatic. Tyre and wind noise were also intrusive at motorway speeds, and the ride firm at low speeds, particularly on the more firmly spring PHEV model. If that’s a concern, it’s worth noting that facelift Outlanders from 2015 have a significantly smoother ride, though they still aren’t in any way sporty to drive, and benefit from an upgraded interior and a smarter grille among other detail changes.